Enjoying the Summer as you hunt for antiques and treasures? I was looking around in my own backyard for groups of people who would associate with the theme of the Southwest. I know it’s a wide-open subject. 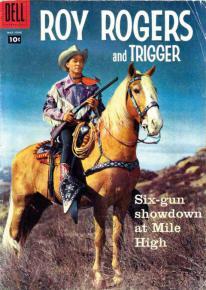 Among those that enjoy living in the High Desert, and often tell me about there favorite places to eat, visit, and buy, I realized they are also my prospects for my new digital magazine — VintageWest. Topping the list are those who love rummaging through the tight aisles of an antique store on the fringes of the Mojave River. 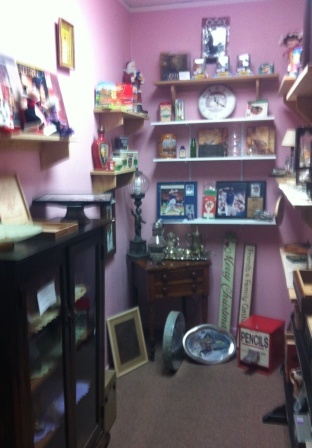 Out in Oro Grande are several new antique and collectibles shops, not to mention the many shops scattered throughout the Victor Valley. 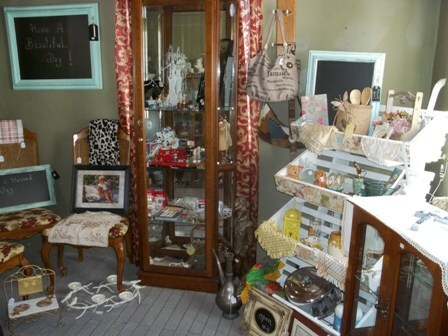 They’re eclectic, full of treasures, and reasonable in pricing. Times can be very tough for these newer entrepreneurs so if you love the hunt, then by all means take a drive to your favorite vintage place — most have air conditioning, too. Then I thought about the folks who return to a place they enjoy. Families that come here to camp or even better, families who want to search out the Southwest history that lured them here so many times before. If you now live in the High Desert, you may be one of those who came to visit only to decide that this was Your Country. Something led you here and you just didn’t want to return. These aren’t gold seekers in the same sense as the early pioneers who broke desolate ground to survive the desert’s heat and cold. These people would be better described as Southwest Seekers. “Southwest” being the definitive clue word. Whatever it is that draws people to the region is the same that drew families to Alaska, except the weather. Once here, claiming the desert as their “forever home,” it wasn’t long before they, too, wanted others to know about this desert region. They became teachers, historians, authors, and even museum members, and docents. Their history is now a commodity to share and develop. In doing that, a small network of curators, their docents, and a growing number of members, took on the task of keeping the Southwest alive. Whenever I venture into a new town, I always look for the local museum. I gain my bearings, learn about its history, and meet a few families that are still here — third and fourth generations. Now, in my own backyard, are the small museums, the ones that display family histories, they survive on generous donations from other families just learning about their new surroundings. They find adventure in reading about the trails that brought them, and the previous generations, to this land. They crave the stories of the early days, the tools that shaped this land, and the rich, full history that they can see and touch in museums and through historical societies. If you are a Southwest Seeker, then you have set before you an array of little history nuggets: Victor Valley Museum in Apple Valley, Route 66 Museum in Victorville and Barstow, Apple Valley Legacy Museum focusing on the Roy Rogers & Dale Evans influence in the Historic Apple Valley Inn complex, Mohahve Historical Society, Lucerne Valley Outdoor Museum, Mojave River Valley Museum in Barstow, and Railroad Museum at Harvey House in Barstow. These are just a few. Farther out are the clusters of Searles Valley Historical Society’s historical homes, and museums in Trona, the northern tip of the Mojave. 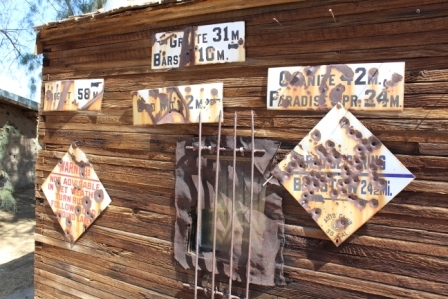 South of the Victor Valley is Johnson Valley and Yucca Valley with its Nature Museum. At the extreme end of the Mojave are the tribal lands of the Chemehuevi, Serrano, and Southern Paiute gathered in one point of interest at Malki Museum, just east of Banning on the Morongo Indian Reservation. This list by no means names the only museums, but the ones where new families coming to the High Desert can search out and find their own treasures, their own pieces of history and interests as they define their own backyards. 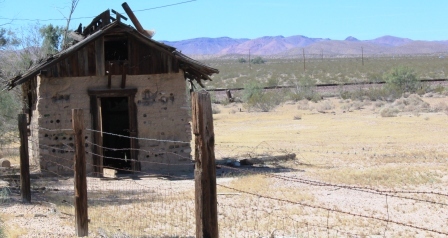 This entry was posted in Mojave Desert, Southwest seekers, Uncategorized and tagged docents, historical societies, museums, seekers, Southwest Spirit by Rusty LaGrange. Bookmark the permalink.